this is my extremely nice (not anymore!) 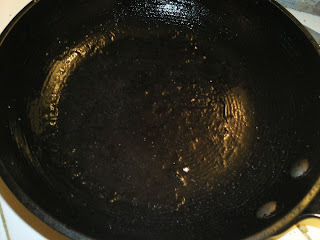 non-stick pan that jenn ruined with all her hot dogs and eggs and still hasn't washed (since monday! gross).